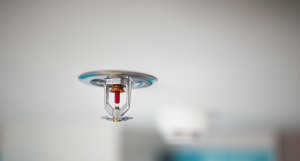 SAAS Fire Protection is a leader in professional fire safety specialising in the installation, modification and certification of fire systems. My 38 years in the business of protecting people against fire has taught me that most fire situations are preventable. 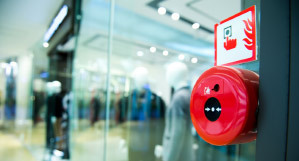 The keys to prevention are good design, pro-active management, the right fire systems and a fire-safe culture – SAAS has the expertise, drive and can-do approach that helps customers achieve all four. 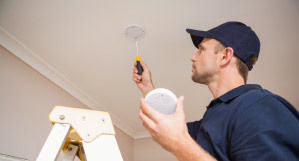 Our powerful ethic of achieving customer satisfaction with every job means we are a tried and true custodian of your fire protection requirements. Delivering accurate and timely assessments that enable good risk management. Creating practical and cost effective means to mitigate fire risk. Installing high quality technologies and implement best practice management. Achieving the customer’s outcome while complying with all standards and regulations. Backing up our work with ongoing monitoring and advice. Thank you from visiting our site and welcome to SAAS Fire Protection. This site will ensure to deliver you with an insight about our company, capabilities and options to suit your business needs. Just a click away, you will find a lot of useful information about the different areas of expertise and services being carried forward by SAAS Fire Protection. SAAS Fire Protection mission is to exceed their customer’s expectations by providing an outstanding care through innovations created talented, satisfied employees whilst positively contributing to the fire protection industry. We believe that our customer’s satisfaction and thus their loyalty are our success. Our overall business attitude is an interesting option that is right for your business and further shaped by the overall value care by SAAS Fire Protection.